This Father’s Day, shake things up and give Dad the gift of wine inspired by his hobbies and personality. It’s a given that a variety of occasions can influence the purchase of a flashy wine bottle, but buying wine based on Dad’s personal passions offers up a lively avenue to celebrate dear old Dad this Father’s Day. Whether it’s wrapping up 18 holes or going for an easy nine, avid golfers can sip vinous inspiration from some of the best in the business. Cart jockeys and mulligan-makers alike can share the green and the grape with high flying pros like Arnold Palmer, Greg Norman, Jack Nicklaus or Ernie Els. Got a Dad that tends to be a “King of Cabs?” Then reach for Arnold’s California-based Cabernet Sauvignon, carrying dark fruit and layers of spice and herbs alongside dusty, easy-going tannins. Looking to escape to the “Land Down Under”? Greg Norman can get Dad there with his signature red, a bold wine spotlighting plenty of forward fruit dominated by blackberry with a mix of mocha and a wisp of smoke. Dubbed Limestone Coast Shiraz, this bottle is easy on the budget and ultra food-friendly. With vineyards situated on the granite-layered soils of Stellenbosch, South African pro golfer Ernie Els makes the most of his roots (and vines) by digging deep to build Bordeaux and Rhone-based blends. Known in golfing circles as “The Big Easy” thanks to both his signature swing and solid stature, Els’ bottle by the same name is built on the sturdy back of Shiraz (60%) and well-rounded by Cabernet Sauvignon (20%), with a healthy mix of the Rhone’s finest varieties singing backup. Whether he really is master of the grill or just wants to be, giving Dad a bottle or two of versatile wines that promise to make the most of grilled grub will thrill any fire-loving, tong-bearing man this Father’s Day. For burger lovers, whether it’s bacon-wrapped, bison-based or simply beef with a slab of cheddar, opt for the dense fruit and laid back structure of California Zinfandel. A best bet is Seghesio Zinfandel 2014, which comes straight from the cattle-driven country of Sonoma’s Alexander Valley. Or scout for Lodi’s Michael David Earthquake Zinfandel 2013. The name is a nod to San Francisco’s devastating earthquake of 1906, and made with grapes planted around the same time, promising a truly “old” vine wine. If Pop is the type that likes to bust paradigms and climb mountains (or ladders), dreams of living off the grid (or simply offline), and looks for adventure in life whether it’s new routes or new grapes, then we’ve rounded up some wines that are often off the radar. Got a white-wine loving Dad? Shake it up with Sardinia’s Vermentino, a lively, crisp wine that typically gets along just fine sans oak. This Italian darling promises heady aromatics and a remarkable propensity for all sorts of food, especially shellfish, pesto, and veggie themes. Check out the 2014 Argiolas Costamolino Vermentino for some serious Sardinian love delivered via exotic tropical fruit, bright acidity and a clean, crisp finish. 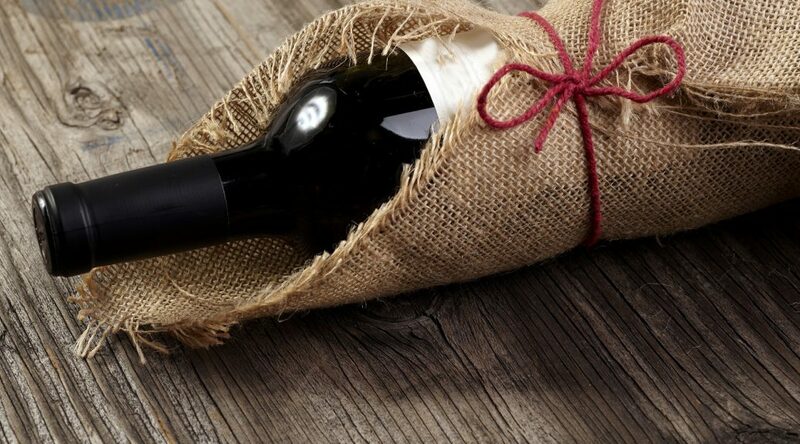 Prefer an out-of-the-box red wine discovery for Dad this Father’s Day? No worries, with over 800+ grape varieties, Italy promises more wine adventure than virtually any other wine growing region on the planet. Pushing way past Chianti and Barolo, the Veneto wine region, bordered by Venice and the rugged Dolomites, produces an easy-going red wine blend that stems from an ambitious trifecta of grapes: Corvina, Rondinella and Molinara. Want to give this classic Valpolicella style a swirl? Then look for the fuller-bodied, red cherry flavors of Allegrini Palazzo della Torre 2011. Prefer to go full throttle with the same grape trio? Then opt for the deeply concentrated, stouter-styled Amarone—enter Masi. As an innovative producer of world class Amarone, Masi’s appassimento methods produce top notch wines from semi-dried grapes. To offer Dad a high-octane taste of the Veneto, there’s no better ambassador than Masi Costasera Amarone Classico 2010. Ready to roll now or happily held for another decade, Masi’s Amarone is truly the gift that keeps on giving. If Dad leans more towards brains than brawn, then Burgundy begs for consideration this Father’s Day. Known for highly cerebral wines that thrive on taking a specific speck of soil and fanning it into a concentrated conversation piece, not to mention an all-senses-on-deck tasting experience, the best of Burgundy guarantees the essence of time and space, history and geology, culture and conscience. Burgundy offers a thoroughly classical education in one delicious glass. Diving into Burgundy is a no-brainer for Dads possessing a penchant for the scholastic, and a top pick on the Burgundy wine trail is Albert Bichot Aloxe Corton Grand Cru Clos de Marechaudes 2013. From this engaging red wine diplomat of organic origins, expect complexity with a serious side, and well-developed fruit supported by fine tannins. If Dad’s palate steers toward Burgundy’s whiter side, then check out a classic from premier producer Louis Jadot, in the 2013 Louis Jadot Chasagne-Montrachet Abbaye de Morgeot, which comes with a round of dried flowers, subtle citrus, and vivid minerality. So, which wine will I give my golf-course-living, grill-loving, airplane-flying, Soduku-playing Dad this Father’s Day? Good question. It will likely be an older Amarone (with some selfish strings attached).